Member, Czech Psychoanalytical Society (IPA). Associate Fellow, British Psychological Society (AFBPsS), Psychotherapy Section. Chartered Psychologist (CPsychol), the Division of Academics, Teachers and Researchers in Psychology (DATRP) of the BPS: No: 097167. Registered Psychotherapist, UK Council for Psychotherapy (UKCP). 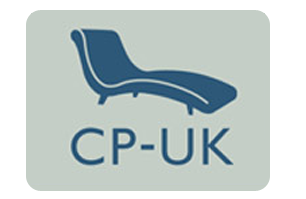 Registered Psychoanalyst, College of Psychoanalysts, UK (CP-UK). Chartered Scientist (CSci), Science Council, UK: No: BPS118097167. Member, Czech Assocation for Psychotherapy (EAP). Member, Slovak Society for Psychoanalytic Psychotherapy (EFPP). Member, Hallam Institute for Psychotherapy (UKCP, CPJA). Advisory Committee, Climate Psychology Alliance. CCC Registered Counsellor: Registration No: 8754. Faculty, Senior Lecturer in Psychoanalysis at the Anglo-American Unversity, Prague. Faculty, Psychology Lecturer at the University of New York in Prague. Practicioner-Member, Institute of Counselling (Pract.MIOC). Associate Member, British Association of Art Therapists. Member, Association for the Psychoanalysis of Culture and Society. Member, International Association for Relational Psychoanalysis and Psychotherapy. Member, Association for the Teaching of Psychology (ATP). Member, The Higher Education Network for Research and Information in Psychoanalysis (THERIP).